The Pharmacy Leadership & Education Institute (PLEI) will be presenting Dr. Joseph “Joey” Mattingly II, alum of the PharmD/MBA Dual Degree program at the University of Kentucky's College of Pharmacy and the Gatton College of Business and Economics, with the 2019 Prescott Pharmacy Leadership Award during the Annual Meeting of the American Pharmacists Association (APhA). The Albert B. Prescott Pharmacy Leadership Award, first presented in 1987, is given annually to a young pharmacist that has demonstrated exemplary leadership qualities indicative of someone likely to emerge as a major leader in pharmacy over the course of his or her career. The recipient delivers a scholarly lecture on issues such as pharmacy as a profession, leadership, or future trends in pharmacy practice or education. 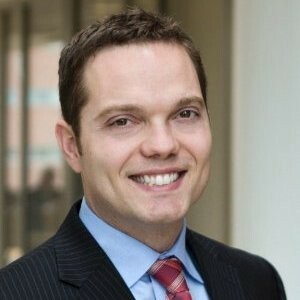 Dr. Mattingly currently serves as an assistant professor in the Department of Pharmacy Practice and Science at the University of Maryland School of Pharmacy, where he teaches business strategy to PharmD students and is a strategic consultant for the University of Maryland Medical Center. In addition to his work as a faculty member, he serves as the Director of Operations for the PATIENTS Program and Principal for A & J Consulting, LLC. He is also a PhD candidate in Pharmaceutical Health Services Research with a special focus in Pharmacoeconomics. His research focuses on a mixed-method approach to incorporate the patient voice in economic evaluations and other value assessment frameworks. Albert Prescott was dean of pharmacy at the University of Michigan from 1870 to 1905. A maverick, he was rebuffed by APhA for his heretical view that pharmacy should be an education-based profession – not an experienced-based trade. The credentials committee at the 1871 APhA convention rejected Prescott as unworthy of being seated as a voting delegate. But Prescott persevered. By the 1890s, Prescott’s vision and convictions were proven correct. The rest of the country began to follow Prescott’s lead. Ironically, he was eventually elected president of APhA in 1899, and became the first president of the organization we now know as the American Association of Colleges of Pharmacy (AACP), when it was founded in 1900. Today, the Prescott Pharmacy Leadership Award is coordinated by the Pharmacy Leadership & Education Institute (PLEI), with major support from the Phi Lambda Sigma Pharmacy Leadership Society. After graduating from the University of Kentucky's College of Pharmacy and Gatton College of Business and Economics, Dr. Mattingly dove directly into pharmacy practice for The Kroger Company as an EPRN super trainer, facilitating the implementation of a new pharmacy information system to more than 40 pharmacies. After completion of the pharmacy system rollout, he managed four different Kroger Pharmacy locations between 2010 and 2012 before being promoted to serve as District 6 Pharmacy Coordinator in Carbondale, Illinois, overseeing operations for 12 pharmacies. "The MBA program at the University of Kentucky has had an incredible influence on my career and overall approach to leadership and management," says Joey. "The Gatton faculty challenged me to put more emphasis on self-reflection and critically evaluating how my attitude and actions as a leader were influencing employees on a daily basis. One of my final MBA projects was on strategic leadership culminating with an in-person interview with Dave Dillon, then the CEO of The Kroger Company. I learned how a Fortune 100 CEO worked to find authentic feedback from those around him and began to apply these strategies to my daily routine. I owe much of my success associated with this award to the environment provided by the Gatton College that fostered my growth and development."